When we moved into the apartment, we found a letter to the previous occupant in one of the drawers. 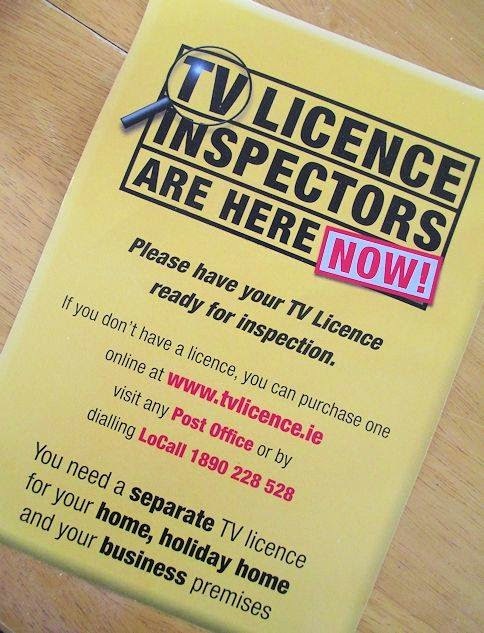 A couple of months ago, there was a bright generic notice tucked in our box that breathlessly warned us that TV license (spelled "licence" here) inspectors were in the area NOW!! At the same time, there were ads running on the radio about the fact that inspectors were out and that there are serious consequences for not having a license if you have a TV--and the fine can be as much as 1000 euro. 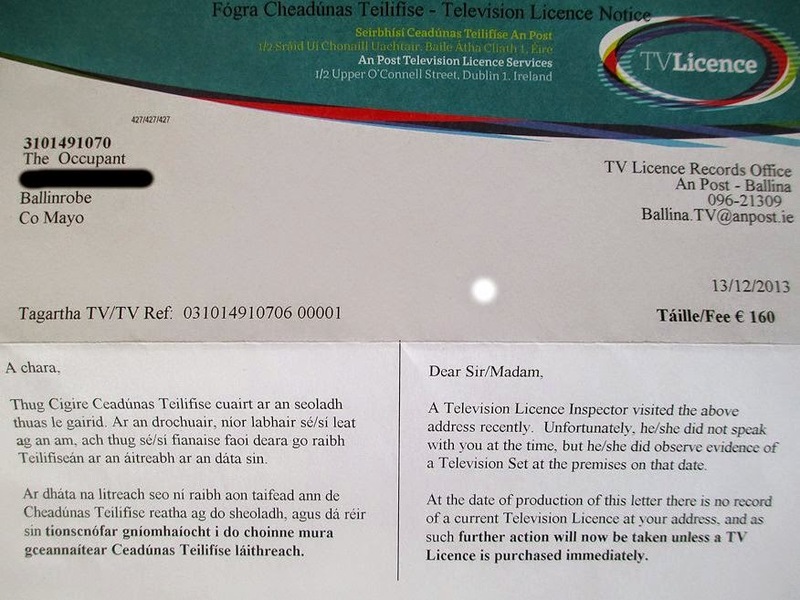 On Friday, we got a letter that stated that a check of the database indicated that there was no record of a TV license at this address and that we should contact the office listed at the top of the letter if one of three conditions applies--no TV at the address, a valid license for the address, or incorrect information. I emailed them this morning, told them there was no TV here, and got a reply within 5 minutes thanking me for my correspondence and stating that the database would be updated. Just out of curiosity, I looked up the rules for TV licenses. They are an annual thing and cost 160 euro. That covers all of the TVs a person has and if I remember correctly, the license is given by name, so if someone moves, they can have it apply at the new address. 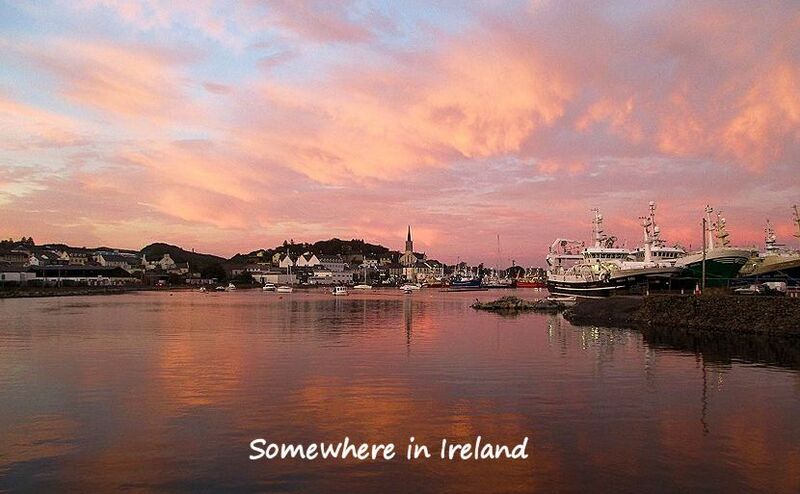 This 160 euro charge can be waived for people over 70 and some others if they meet certain criteria. It does not cover any kind of cable of satellite service--it is just a fee for having a TV and it's how they fund public broadcasting. If there had been a TV here, we would have been responsible for getting the license, even though it would just be another piece of furniture. If the TV was broken or put away somewhere, we would still have to pay for the license because the assumption is that it could be fixed if it was broken, or taken out and used at some point if it was stored somewhere--if there is a TV on the premises, the occupant is required to get the license. A fair number of available places include TVs in the list of furnishings. If we end up wanting to rent such a place in the future, we will ask that the TV be removed before we agree to rent it. I have no desire to cough up 160 euro for something that I will never use!